Windshield wipers are a very importance piece of your vehicle, and it’s easy to forget to change them until it’s too late. Have you ever tried driving through a rain storm with worn wipers? I have, and I can tell you it’s not fun! Not to mention completely unsafe. Here are a few FAQ’s regarding windshield wipers. “When should I change my windshield wipers?” – If they start showing wear such as cracks and discoloration then that’s a big sign they are used up and need to be replaced. 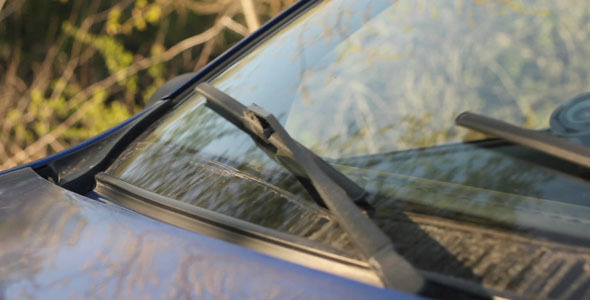 Other indications of worn wipers are streaks, un-wiped areas, and if they makes noises or chattering sounds. “How often should I be replacing my windshield wipers?” – Generally every 6-12 months. Make sure you check back next week for another Tech Tuesday tip! Get directions and hours here! 2013-2014 Dodge Durango R/T- Safety First! 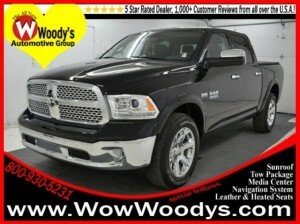 So we all love the 2013-2014 Dodge Durango R/T’s!! Maybe its the way they look, the way they handle, comfortablility but my main reason is the safety! The new Durango’s offer safety at a new level in SUVs and that is why they remain on top! Equipped with a multistage airbag system, the Dodge Durango can sense the force of an impact and deploy the airbags accordingly. Thus, not all going off at the same time, but as your body needs them! With blind spot monitoring, you will have 4 eyes, which in this case, is a good thing! Helping see what you can not. Electronic stability control helps you, the driver, keep control of your vehicle at all times. Reducing the engine throttle if necessary as well! With a large SUV, it may be difficult at times to see behind you. With the ParkView Back-up Camera, you will no longer have to worry about the unseen. The available ParkView Rear Park Assist System, makes an audible warning when approaching an object in reverse, at low speeds. 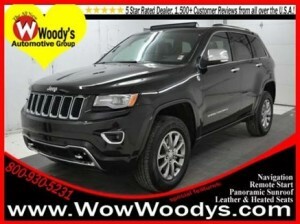 So if you like the safety that comes standard in these sweet SUVs, check out Woody’s Automotive Group. We have several and have the means to find you the perfect one! Call us today at (888)869-0963 and speak to one of our awesome sales advisers today! So after research several different sites, I have thrown together another review. 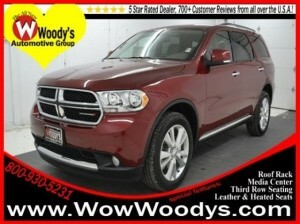 This time its the Dodge Durango 2013-present. 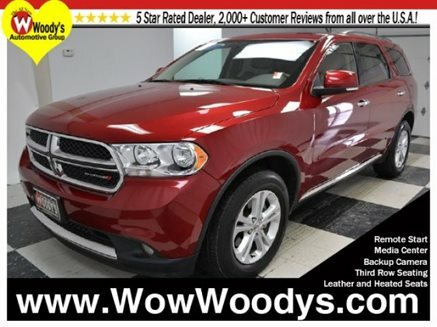 The 2014 Dodge Durango large crossover SUV is available in four trim levels: SXT, Limited, R/T and Citadel. 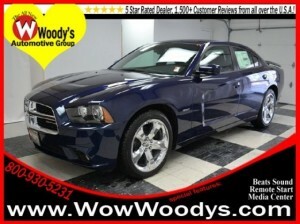 You’ll also come across Durangos with Rallye badging; the Rallye is an equipment package on the SXT. Seven-passenger seating is standard across the board; optional second-row captain’s chairs reduce capacity to six. Standard equipment on the SXT includes 18-inch alloy wheels, automatic headlights, foglights, roof rails, heated sideview mirrors, full power accessories, cruise control, tri-zone automatic climate control (includes separate rear air-conditioning), a tilt-and-telescoping steering wheel, cloth upholstery, a fold-flat front passenger seat, a 60/40-split-folding and reclining second-row seat, a 50/50-split-folding third-row seat, Bluetooth phone and audio connectivity, and a six-speaker sound system with a 5-inch touchscreen display and USB and auxiliary inputs. Several option packages are available on the Durango SXT. The Popular Equipment Group adds heated front seats, a heated steering wheel, a rearview camera, rear parking sensors and an auto-dimming rearview mirror. The Rallye package adds 20-inch wheels, polished exhaust tips and additional body-color exterior trim while deleting the roof rails. The Limited has most of the above equipment as standard but reverts to 18-inch wheels. 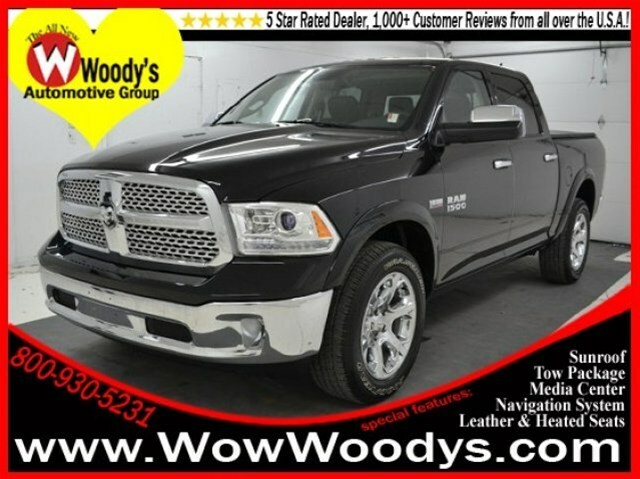 It also comes with a remote ignition, leather upholstery, driver memory settings, a six-way power passenger seat, a 115-volt power outlet and an 8.4-inch touchscreen display with an upgraded version of Dodge’s Uconnect system. The latter includes voice control, text-to-speech messaging capability, emergency roadside assistance, streaming Internet radio and 3G Wi-Fi capability. The larger touchscreen and related features are optional on the SXT. The R/T essentially includes the upgrades of the Limited along with a V8 engine, 20-inch alloy wheels, a sport-tuned suspension, xenon headlights, body-color accents, a power liftgate and an upgraded nine-speaker sound system! The Citadel reverts to a less aggressive suspension tune and a standard V6 engine, but otherwise builds on the R/T’s equipment list, adding automatic high-beam control, automatic wipers, a sunroof, a power tilt-and-telescoping steering wheel, an eight-way power front-passenger seat, ventilated front seats, heated rear seats, and a navigation system with traffic updates and a Yelp-based search engine. All these amenities are optional on the R/T. Optional on both the R/T and Citadel is the Technology Group, which includes adaptive cruise control, a forward collision warning/mitigation system and a blind-spot warning system with rear cross-traffic alerts. Also available on these trims is a rear-seat Blu-ray/DVD entertainment system with dual video screens and an HDMI input. 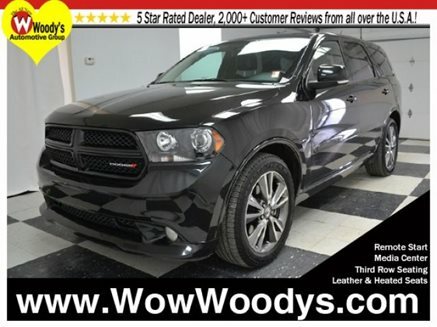 The 2014 Dodge Durango is offered with either a V6 or V8 engine. While the SXT only comes with the V6 and the R/T only comes with the V8, the Limited and Citadel trims can be equipped with either one. Depending on the model, rear-wheel drive, all-wheel drive or four-wheel drive is available. The light-duty AWD system is only available with the V6 engine. The on-demand 4WD system features dual-range gearing (which makes it more capable on rugged terrain) and is standard with the V8 engine. All models come with an eight-speed automatic transmission. The 3.6-liter V6 engine is rated at 290 horsepower (295 hp with the Rallye package).The EPA’s estimated fuel economy is (18 mpg city/25 mpg highway) with rear-wheel drive and (17 city/24 highway) with all-wheel drive. 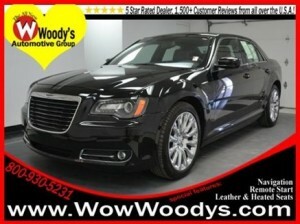 The 5.7-liter V8 is good for 360. Rear-drive models are rated at (14 city/23 highway), while AWD versions are rated at (14 city/22 highway). Properly equipped, a V8 Durango can tow up to 7,400 pounds, while the V6 version tops out at 6,200 pounds — in either case, far more than most rival crossover SUVs can tow. 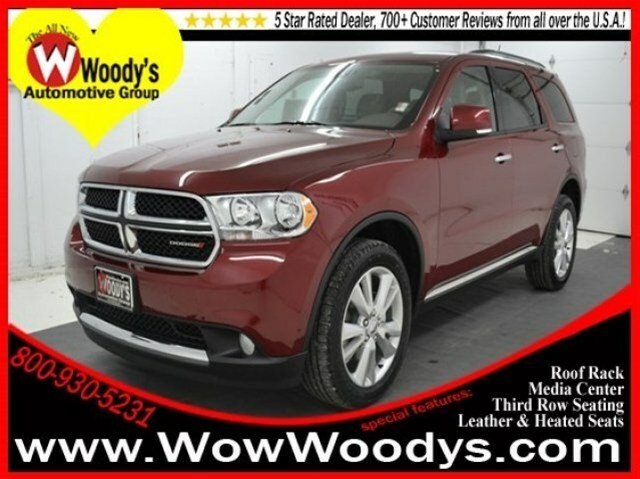 Antilock disc brakes, stability and traction control, trailer sway control, front side airbags and full-length side curtain airbags are standard on every 2014 Dodge Durango. A rearview camera and parking sensors are optional on the SXT and standard on all other Durangos. Models with Uconnect Access (included with the 8.4-inch touchscreen) have an emergency telematics system that connects you with 911 operators at the touch of a button and provides stolen vehicle tracking. Optional on the Limited, Citadel and R/T is a blind-spot monitoring system with cross-traffic alerts. Note that the available Technology Group available on R/T and Citadel models now includes a more advanced forward collision warning and mitigation system that automatically applies the brakes in potential collision situations. In government tests, the Durango received five out of five stars for side-impact protection. Modern and functional, the 2014 Dodge Durango’s cabin has been designed with families in mind. Regardless of trim level, the design is attractive and features upscale materials. With this latest update to the Durango, materials quality is now class-leading, and the cabin has an uncommonly elegant feel for this class. The gauges look better, too, with crisp graphics and a useful trip computer display. The front seats are roomy and comfortable. The Durango’s easily accessed third row offers a surprising amount of leg- and headroom (even for 6-footers). With the second- and third-row seats folded down, the Durango can carry up to 84.5 cubic feet of cargo. Steering is responsive and the Durango is easy to maneuver on almost any road. On a long interstate cruise, it provides a quiet and relaxed cabin environment. Midrange acceleration is adequate for passing and merging, and there’s a noticeable improvement in responsiveness with the new eight-speed automatic transmission. As expected, the V8 offers brisk all-around performance and a satisfyingly deep exhaust note on acceleration. It’s Tech Tuesday which means we are going to share another cool tech Tuesday Tip brought to you by Jessica! 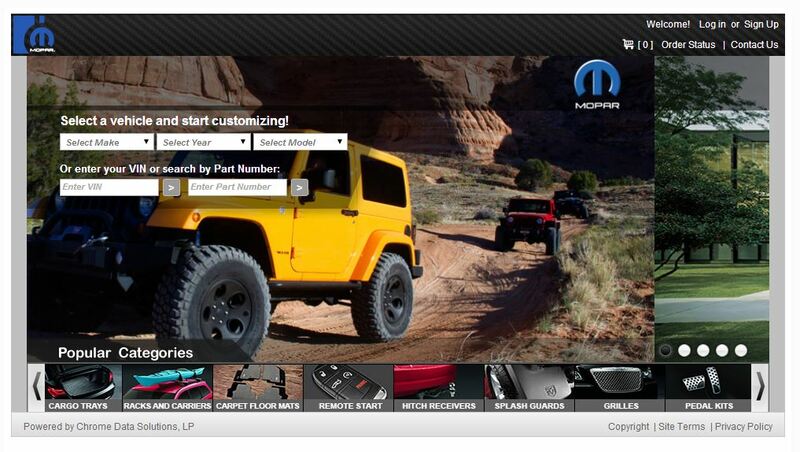 The new Chrysler, Dodge, Jeep & Ram vehicles have an awesome media center called Uconnect. These systems are capable of doing a lot of really cool things, one of the features I’m going to talk about today is the Yelp app. Imagine yourself in a new city (on business perhaps?) and you want to find a really good Mexican restaurant but you aren’t sure where to start. With the Uconnect system all you have to do is select Apps then Yelp. It will give you several different categories, or you search for something more specific. Of course, restaurants aren’t the only thing you can search for. Nightlight, entertainment, coffee shops, gas stations etc etc. Yelp also has some really good reviews so you can find the highest rated businesses right at your fingertips. Isn’t that convenient? The Uconnect system is only available in Chrysler, Dodge, Jeep and Ram vehicles. There are several different types of systems and features for each vehicle. If you’d like to learn more, just give Woody’s Automotive Group a call at 888-658-3616 and any of our sales advisers will gladly help. Stay tuned for another Tech Tuesday tip next week!